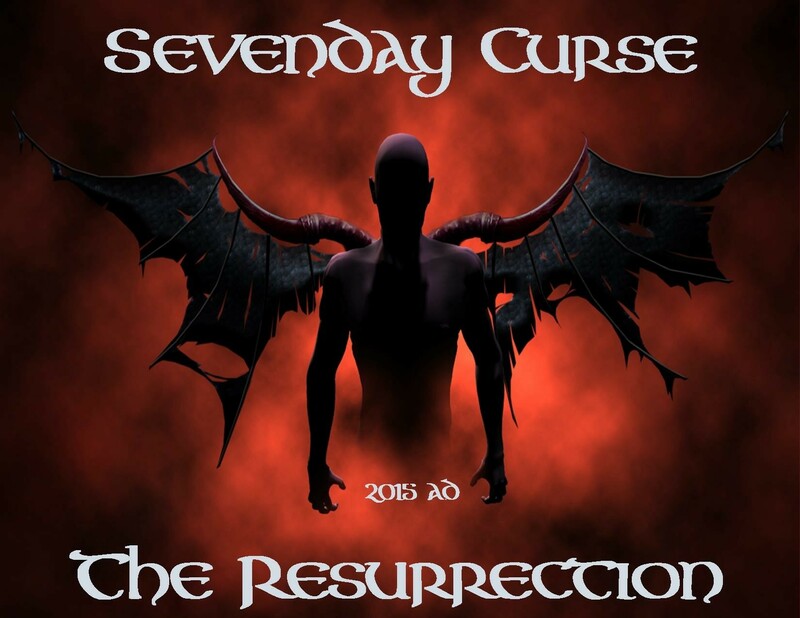 I had the chance to catch up with Scott from Sevenday Curse, as well as their newest member Steph Robinson who brings a wealth of experience, and drive to the band with her keyboard talents. So I am here with Scott from Sevenday curse. Badger- The last time I saw you guys it was September 3rd in providence Rhode island at Dusk, where you guys opened up for Revocation. So what have you guys been doing since then, a lot of writing perhaps? Well most of the new stuff has already been written. We have been doing a lot of refining. working on getting new songs recorded and kind of just working on the extra stuff that gets added on to the songs like lyrics, keyboards guitars. for the most part the song structures have been written and done for at least a month now. Badger- From the last time I talked to you guys you were working on an EP, how is that been coming along? So we’re still kind of unsure how we’re going to release this. at first we were talking about an EP, and then we kinda of naturally writing more songs, we got to the point where we felt we had enough for a full length you know. So that’s still up in the air but we are leaning towards it being a full length. its very likely that its going to be entirely self produced, because that gives us the most freedom to do it the way we want. Also because we have also been doing writing as we record them so nowadays with being able to own your own Pro tools rig it makes life a lot easier and gives you flexibility to do that. Badger- So I had seen on Facebook a few weeks back that you guys were looking to include one of the songs from After the Storm on the new release. Have you guys come to a conclusion on which song will be with the new stuff? Badger- Ahh and which one will you be doing? That’s going to be a surprise, were going to play that one close to the chest. Its going to be fun, we feel like we picked the song that is a fan favorite, but also represents the sound of our newer stuff. that kind of direction we are going in now. Badger- The last time we talked you were looking for a keyboardist, have you been able to lock down another member to the band. So yeah that’s the big announcement, we after a long search we feel as though we have found the right person. her name is Steph Robinson, she has played in a lot of bands. she is a really experienced musician.who comes with amazing credentials, she is extremely talented and she can also sing. We are really excited to bring her into the fold, and start playing with her live soon as well. Its a perfect time to bring her in, because there is still plenty of room to have her bring in her own ideas, and influence to how these new songs are going to sound. We haven’t gotten to the stage where we have been able to figure out all the keyboards yet, but its a perfect time, because we can hand her what we have so far and let her take the reigns on the orchestration and piano. Badger- So I see you guys are starting to book a few more shows, are there any big shows you are excited about coming up? Hothfest would be the biggest/ best one, its in January, on the 9th. its also very likely going to be the first show we play with live with Steph. I also heard that they just moved to a larger venue because of all the bands that are on the bill. they ended up moving it to Maximum Capacity in Chicopee, Mass. 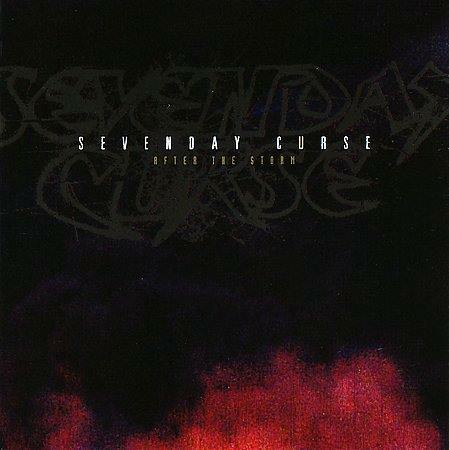 After talking with Scott I got the chance to talk to Steph about her joining Sevenday Curse. Badger- I understand you have (to the best of my knowledge) toured with two bands across North America. tell me a little about your background and how you got into playing the keyboard for metal? Until two years ago when I switched over to tattooing full-time (I co-own a tattoo shop now in Webster, MA), I was a self-employed, full-time working musician. I’m classically trained, hold a Ph.D. in music composition, and have played keyboards since I was a child. I’m also a vocalist, and have an operatic background. I’ve done pretty much any type of musical gig you can imagine – that’s what a working musician has to do to keep food on the table! In addition, I have a background with music production, and spent a number of years working as a recording engineer; I still do quite a bit of freelance work in this respect. I’ve been a metalhead my entire life – I grew up obsessed with Dio, Judas Priest, Ozzy, Sabbath and all the classics. However, I never really thought about PLAYING metal until about 9 or 10 years ago, when I was in my late 20s and had gotten a “good job” as a community college professor. I was unhappy with my job and bored with classical music culture in general, and it was like a switch just flipped and I said to myself, “This is not my life. Let’s finally do this.” Many of my classical music friends thought I was having an early midlife crisis when I suddenly decided I was done playing church organ and switched over to playing in a few metal “tribute bands.” (Tribute bands are huge in Southern California, where I was living at the time.) I decidedly had the working musician mentality at first – a gig had to pay reasonably well for me to be able to consider it, and hence why I ended up in a Dio tribute, along with other acts. Through those gigs, I started meeting people more involved with the underground SoCal metal scene, made some connections, and shortly one thing led to another with me starting to work with original bands. Badger-How did you and Sevenday Curse come together? Scott and I connected through a mutual friend, Chris Farmerie – he books the Metal Thursday series at Ralph’s in Worcester. Chris is a very close friend, and we recently played together in an Enslaved tribute for the Halloween Covers Weekend at Ralph’s. We were spending a lot of time together commuting to Boston for rehearsals, and one day he said that he had a friend who was looking for a keyboard player for a band. I said I was interested, since I haven’t played much with any New England bands and I was looking to jump back in after a bit of a layoff (I had to take a break from metal due to two other projects the past two years – one was the production in Europe of a musical that I wrote, and the other was an attempted transcontinental run for charity). I did a Skype session with Scott last summer and we hit it off; I met the other guys a couple of months ago and we all felt like it was a good connection. So, now, I’m learning the live set and working hard on recording material for the new album. It’s been a blast so far. Badger-Were you familiar with Sevenday Curse before joining the band? Maybe heard them before or saw them? No, honestly, I hadn’t known their music beforehand. I hate admitting that publicly! The reasons? One, I lived in Southern California for fifteen years, and only moved here in 2011 – the scene out west is very different than it is here in New England, so I’m definitely more familiar with Los Angeles and San Diego bands. Two, during the time when After the Storm was released, I was working on my Ph.D., and I wasn’t doing much other than working four jobs while trying to go to school full-time, so I wasn’t hitting shows or anything…that was a really crazy time, so I’ve got a few years of a hole in my metal knowledge that coincides with when the band was active back then. I’m glad I know their music now! Badger- Do you have a plan on when we will be able to see you perform live with Sevenday Curse for the first time? I believe the plan is to have my first show with them at Hothfest in January. I’m looking forward to it! Badger- How does it feel to be a part of a band that for many believe (including myself) were one of the band’s who created a unique sound/ sub genre of metal? It’s an honor – I feel extremely fortunate to be involved. So far, the guys have welcomed me both as a band member and collaborator, and that has been very much appreciated! It feels great to be in a creative space with production on the new album…I think it’s going to be epic. So there you have it, Sevenday is not only working on a full length now, but they have a killer classically trained keyboardist to add some more dimension to their music. Badgers Metal Breakdown is really hoping they do Revelations as that is our favorite track from After The Storm. You can also check out Witch Doctor Tattoo Studio for some of Steph’s visual art. When I saw these guys in Syracuse, I got a chance to really talk to all of them, and also get some impressions from all of them. To watch these guys on stage is just a great show. For all the people in the crowd just thrashing and head banging, a pit only broke out a few times, but for the most part there was a group of people myself included just really taking in the whole experience. These guys give it their all, and part of that is because they are an independent band. They do not have a label backing them up and supporting them. They have the fans as their support. When they get the support they need, they want to give back, and that’s what helps with their energy to put on a great show. Oli was in the zone, what I mean is that he was like a different person on stage. After their show when I talked to him, he was just the most down to earth guy. I asked him what one of the first things he would do when he got back home after the tour ended, showered unpacked etc. and he said go to his favorite pub with good friends. After they got back home I ended up reaching out to all of the guys from Cryptopsy, and this is how it went with Oli. Badger- Did you have fun while you were on the Back to the U.S. tour? Also you had a birthday so what was that like while being on the road touring and promoting the new E.P. and crowd funding campaign.? Olivier-Lot of fun , old and new friends! The crowd were amazing, I think on that tour we got a bunch of new fans ….And for the birthday , it was an awesome night ,We played Amytiville that night and the guys from Suffocation, Internal Bleeding and Dehumanized show up, good times!! Badger-I have been both a Cryptopsy fan, and a Neuraxis fan for some time. The technical metal coming from Canada has been just brutal (which is why I like it so much) For you how did it feel going from one killer metal band like Neuraxis, to then playing the bass for the legendary Cryptopsy? And how did you get involved with Cryptopsy? Olivier- Neuraxis recorded the album ”ASYLON” during the summer of 2010 at Garage Studio with Chris Donaldson . I love to think that he liked working with me , otherwise I don’t think that he would have called me for Cryptopsy haha! But yeah , the trasition was huge , It was a big challenge for me to play with those guys. I spent a lot of days at Jon Levasseur place’s to learn the old stuff and write the bass line for the Self-Titled as well ….So I didn’t have time to waste!! Badger- Have you always been a fan of metal? 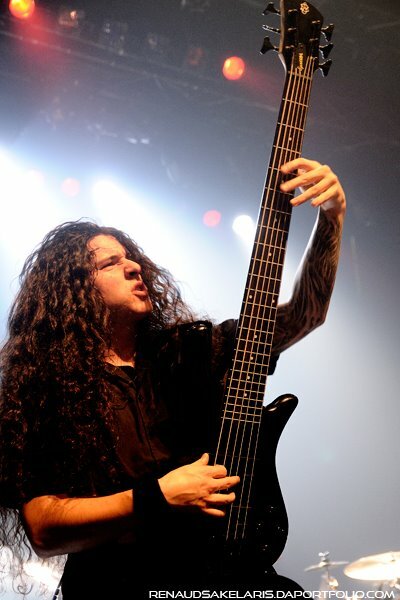 Who are your influences for metal, as well as playing the bass? Olivier- HUGE Metal fan! Since forever. Now , I’m still interested in the underground scene , bands like Ulcerate , Dead Congregation , Gigan are constantly in my CD player! Badger- After the E.P. is released will we be seeing any play through videos from you in the near future? Olivier-Maybe , maybe not haha. I’m actually not a big fan of play through video . I understand why people like that …but for me, magic happen on stage in front of people , not behind a camera in my basement. Badger- If you could describe The Book Of Suffering E.P. in five words. What would those five words be? Again I want to thank you for your time to answer my questions, I wish you guys the best, I hope you guys make it to your goal, and wish you safe travels for your next trip of touring to promote the new music. Thanks , see ya on the road! So there you go, words from the bassist extraordinaire himself, Olivier Pinard, The guy is just killer on the bass, and a really cool cat. I personally cannot wait until the E.P. comes out, I have been a Cryptopsy fan for a long time. 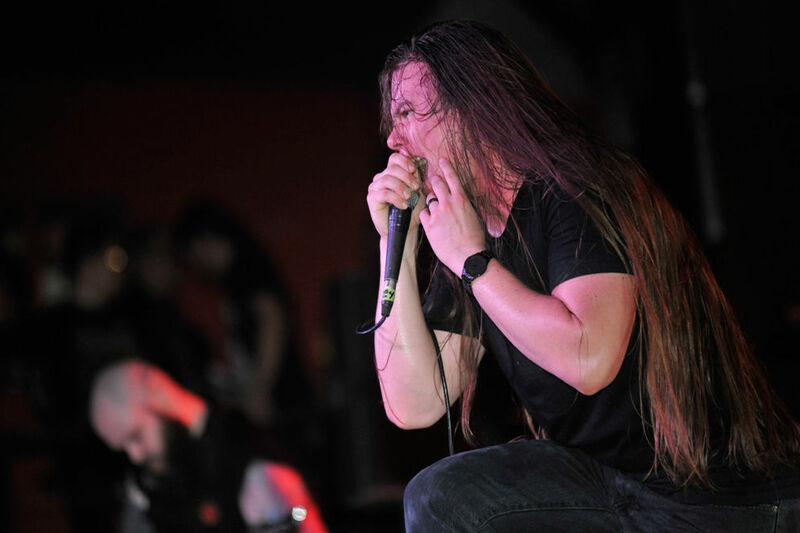 When other bands were playing typical “death metal ” styles, Cryptopsy was playing a much more technical style of metal. Bass and Guitars for this one, hey Oli and Chris tearing it up!!! The pricing is pretty fair, you have to figure the cost of things these days, everything is going up. And these guys are trying to keep the prices competitive as well. The cost of Gasoline, and all other goods out there, everything is expensive these days. However the way I look at it. I am a sucker for a physical CD. for $20.00 I will get my E.P. shipped to me with a digital download, and while some may argue its too expensive. I believe in spending a little more to get a better quality. These guys offer a better quality, and raise the bar every time. Even if you don’t have 20 dollars for the CD. Do some research, a lot of bands are doing digital E.P.’s for $5.00 So Cryptopsy is on point with that, I have never been disappointed by these guys, and i will always be a fan. So whether all you have is $5.00, or not even that, they have a perk for $1.00 contributions. That way you can at least be a part of something cool, and help out one of the pioneering bands of technical death metal. 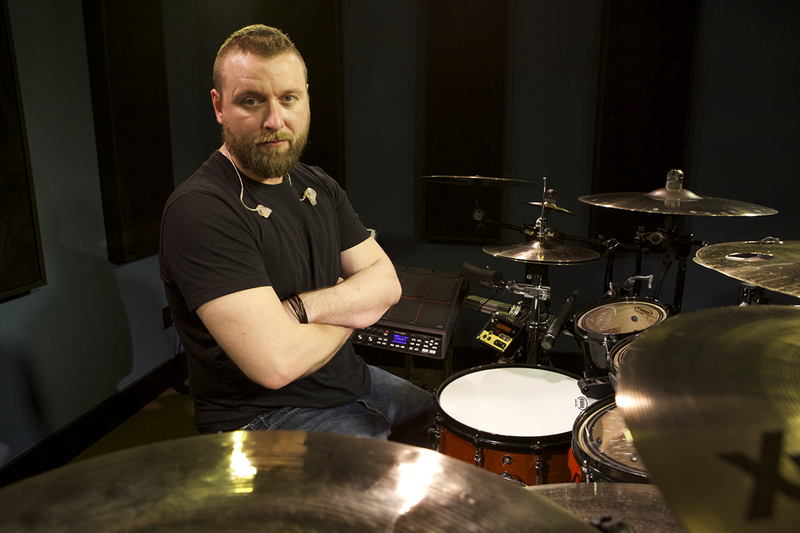 The man, The legend, Flo Mounier drummer for Cryptopsy interview #2. 12 days left and 2 more interviews to go! 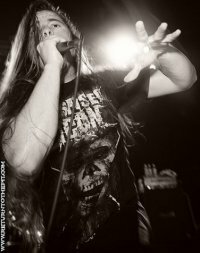 I got a chance to speak with Flo about Cryptopsy, playing the drums, going independent etc. So allow me to get right down to it. Badger-So Flo 2015 has been pretty productive for you guys, and with the touring as well as the indiegogo campaign. You guys have been pretty busy and it looks as though 2015 will be a nonstop ride for you guys. So with that said I just have a few questions I would like to ask you. Badger- You have been with Cryptopsy since 1992. You have seen Cryptopsy evolve into what it is today. What has that been like for you? Badger- You are essentially like the father of Cryptopsy, watching it grow, and shaping it for the future. How has that affected you being a part of something this big? Flo: well I’ve never looked at it as being big or small. I look at Cryptopsy just like my playing, it’s always a work in progress. So I feel very critical about the whole thing. So it’s affect is in a way to try to be better from year to year, tour to tour and album to album. Badger- You are a phenomenal drummer, and I have been a fan since first listening to “ Emaciate” with that said, what sort of process do you have for writing new music? Flo: thanks for the kind words! We have used different ways of writing in the past. For the newer stuff we actually sit in studio and go over riff that Chris has recorded. We then try to structure them and piece things together. Some are already a series of riffs that fit, some are alone. So we do a general structure. When we’re happy with that we ll start throwing in traps and different bridges and more tech elements. During this whole process beats and fills come to me. Then I take the riffs home to practice and establish my parts. Badger-Do you have a game plan for raising the bar every time? Flo: no real game plan. If the guys and I practice hard enough from one recording to another, you ll be able to tell. 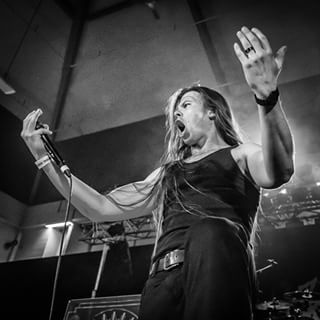 In Cryptopsy we concentrate on writing songs first then speed and tech. Badger-Because as a long time listener I can say the bar gets raised every time without a doubt. Flo: thanks a lot, well we try and this EP has new stuff that’s pretty sick and so will the next series of EPs promise!! Badger- Who are some of your influences for the drums? Flo: I have so many influences it’s not even fair to name just a few but I will. In metal, Sean Reinhert, Gene Hoglan, Kenny Schalk, in other styles, Dennis Chambers, John Bonham, Dave Weckl, Chris Coleman. Badger-I have heard the jazz in the self-titled album, so you must have some a variety of influences for both jazz and metal. Flo: I try and enjoy listening to all sorts of different musical styles. It just expands your influential pallet therefore your creativity and ability as well. Badger- Now that you guys have been independent. Has it made the writing process any different? Trying to deliver only the absolute best and what you want the fans to hear? Badger-Is there a lot of songs that you guys end up putting on a back burner as a result? Flo: I wouldn’t say many songs cause it doesn’t get that far, but many riffs yes have been canned. Badger-Is it more rewarding, not financially but rather emotionally and mentally putting out new music and playing out, and getting the fans reactions? Flo: it’s totally cool when we believe in something and are happy about a new creation then see that our fans are just as stocked as we are!! Great feeling!! If you can describe The Book Of Suffering E.P. in only five words. What would those five words be? Flo: brutally fresh and truly catchy! Badger-Thank you for taking the time to answer these questions if there is anything else you would like to add feel free, because the fans are listening. Flo: thanks for the years of support, keep it coming we have lots more to offer!!! Badger-Thanks again Flo look forward to hearing the E.P. when it comes out and seeing what the future holds for Cryptopsy. There you have it the E.P sounds killer ( they played a song at their show in Syracuse, and it was truly a badass tune. Flo is an incredible drummer, there are tons of videos on you tube of him playing live, or in a studio, he also has his own instructional DVD for extreme metal drumming techniques. There is only 12 days left on the campaign. So definitely check out the perks, the pricing is very reasonable, and lets say you cant do a campaign shirt option, but you want to help out $1.00 will help out, and you will get a thank you video, $5.00 gets you the E.P. in digital download form. Me i am a sucker for the physical disc, but even that is $20.00 (includes shipping) and still I get the digital download. So all the options are a great deal. So really what ever option you choose you can at least feel good to be helping out a great band, that is very influential to up and coming musicians. I recently got a chance to reach out to Chris Donaldson, the skilled guitar shredder for Cryptopsy. With the band being an independent band, they are always busy, this is there 9-5 only its more of a 24-7 job. So they are busy trying to make a living, and have a life. They are back from the most recent tour and i wanted to get a quick interview in while the members had some free time. Alright Chris so I did get a brief chance to talk to you at your last U.S. show but I wanted to ask you a few questions to help the fans get more connected. Badger- So how has 2015 been for you so far? Badger- After the Book Of Suffering E.P. is released will we be seeing any more youtube play through videos of you? Chris – we don’t have any plans for that now, but if the demand is there, I will shred that axe for you!! Badger-Was the Back to the U.S tour special in the sense that we haven’t seen Cryptopsy in a few years. Was it as special for you, and the rest of the band? Chris- It was special is a sense that it was a bill that we choose in majority. It was awesome to tour with all our friends. The vibe was just fantastic! He hope all the fans felt that too! Badger- When the Back to the U.S. tour ended, you guys drove home, unpacked, showered etc. Is there any one thing you like to do first? For example go to your favorite restaurant, listen to a local radio station, catch up on your favorite tv shows, spend time with family etc? Chris- It really depends on where was that tour, and what time who are back home. Majority of the time, we are dead tired (for example you spent 2 hung-over days in an airport to go back to your house plus the jetlag!) so I would say, sleep! But other than that, me and Oli like to go drink at our favorite pub in Montreal “le saint-elisabeth”!! Badger-And my last question If you can describe The Book Of Suffering E.P. in five words. What would those five words be? Thank you very much you guys are some really stand up down to earth cool individuals, and I thoroughly enjoyed seeing you guys in Syracuse. And I look forward to hearing the new music when it comes out. I want to thank you for taking the time to answer these questions. Chris – Peace man !!! but seriously if you look at the pricing, for the digital E.P. or even the physical, its a pretty damn good price. Only you can feel better that you are helping the band out.